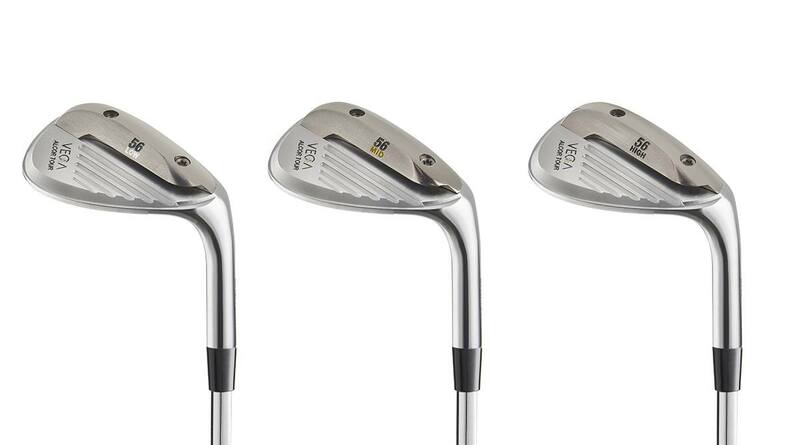 The new @Vega_Golf Alcor Tour Wedge brings new adjustability to the wedge space...for a cost. A wedge is a wedge, is a wedge, is a wedge. 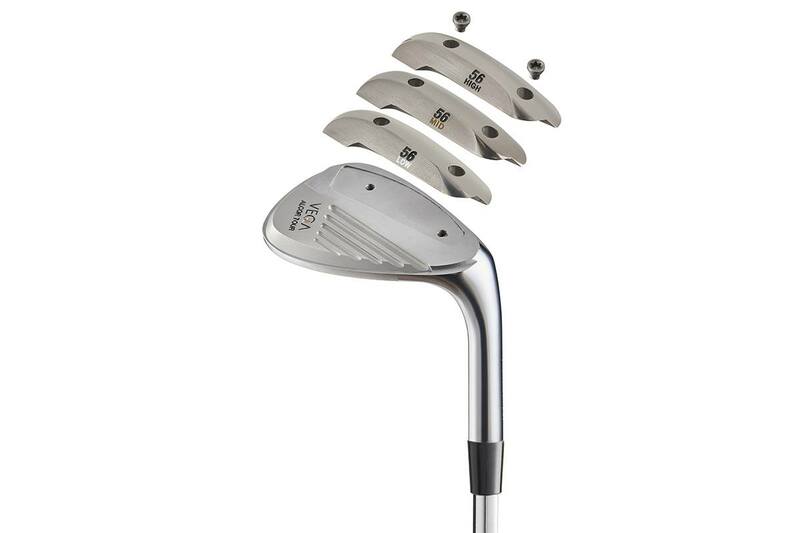 Give or take a few exceptions, modern wedges all have a pretty strong lineage back to the original Cleveland 588 which, for their part, were inspired by classic Wilson wedges, which, of course, were refinements of Gene Sarazen’s original sand wedge design. There are exceptions. The Ping Eye 2 was totally different from anything that had come before it, and was the inspiration for many of the modern wedge sole designs. You can say its DNA is in the Ping Glide ES wedges. In the 90s, the Alien wedge changed the game for a segment of golfers and variations of that design still help plenty of club golfers escape the sand today. In recent years we’ve had a bit of weight put high to raise the centre of gravity, but that’s been mostly the extent of it. Nothing dramatic. TaylorMade tried offering replaceable grooves, and while that was nice for Tour pros, it never really caught on at retail. Bruce Sizemore has probably been the most inventive in recent times; his MORE wedges are certainly original. But despite all their adjustability, and we’re talking loft, bounce and sole grind, all independently from one another, it just didn’t perform any better than anything else we’ve hit. And with looks even a mother wouldn’t love, it needed to perform. Even with the recent PXG wedges, what $600 a pop gets you is a classically designed wedge made in an expensive manner. 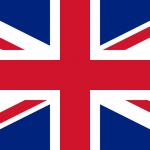 There aren’t any technological advances in the design. They don’t even have any TPE. It’s been a long-winded journey getting there, but what we’re saying is that these new Vega Alcor Tour wedges actually appear to offer a true performance benefit. We mentioned raising the centre of gravity before. That helps to flight wedge shots lower with more spin, but the effects are often marginal because it’s difficult to move any appreciable amount of mass higher in the head. With Vega’s two-piece design we can see the potential for a real, noticeable difference. The body is forged in Japan from carbon steel. It is a Vega iron, so we wouldn’t expect anything less. Still, Vega has never looked quite like this before. The Alcor Tour is a new wedge in the Vega Star range, which features multi-material club designs. The big story here is that sole. We’re so used to Tungsten being thrown around willy-nilly in golf club design to get the weight down low, that it’s both surprising and refreshing that Vega has done the opposite with the Alcor Tour wedges. To raise the weight they’ve used a lightweight titanium sole plate. The sole plate weighs 40 grams, which allows more weight to be put high in the head. And when you look at the side profile, that high toe area appears significantly thicker than other designs. The design removes weight from the heel as well, which on paper suggests a significantly higher CG than any other wedge in the market. Some clever beveling ensures the top line doesn’t appear thick behind the ball. The big selling point of the Ti sole plate is that it’s interchangeable. The wedge can be configured with a low bounce, mid bounce or high bounce sole plate. Buy all three, and you have one wedge that can be adjusted for the conditions of any golf course. We’ve not hit them as yet, so while performance is TBD, we love the departure from the status quo of wedge design. 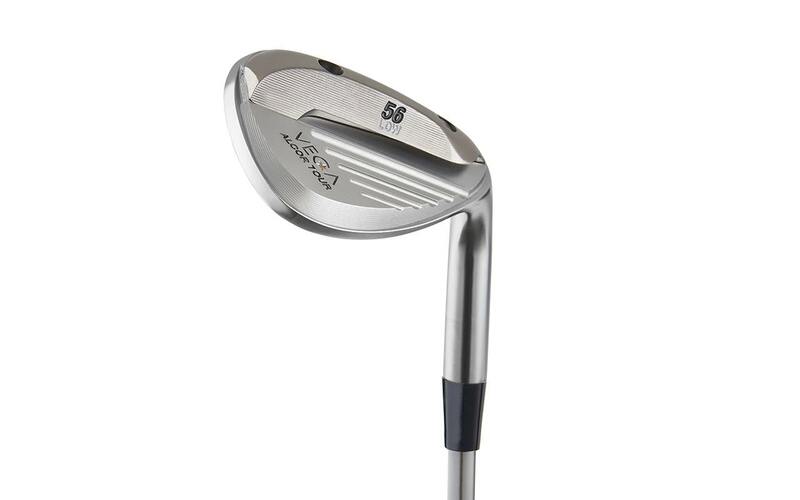 These Alcor Tour wedges aren’t cheap. With an RRP of £249 (around $375) with one soleplate, or £329 (around $490) for the wedge with all three sole plates, the Alcor Tour will put a dent in your pocket. The cost may explain why the big manufacturers haven’t attempted anything similar, as you aren’t likely to sell a huge volume of product at that price point – and that’s exactly the thinking that has limited wedge design to what amounts to a simple rehashing of a club designed in 1932. A gear geek since childhood, GolfSpy UK played and remembers flat-topped Mizuno Hot Metals, the Wilson Invex and a time Plop wasn't just the sound you made in the bathroom. 20 years ago he made his own version of the SuperStroke using only insulating tape. If you've seen it, he's tried it. Forever in search of more distance off the tee. The daft git. I’m thinking a highly skilled player with deep pockets might benefit from this tech. Not so much for the average hack unless their deep pockets make the skill level not an issue. These might be of value in the fitting of someone for a wedge but it’s not practical ,it’s just a techie’s toy.. Busted!!! The biggest problem these will have, just like happened with the Taylormade xFt wedges is that the wedges will be replaced by something newer by the manufacturer so even if you go all in and buy them, you won’t be able to buy a replacement once the grooves wear down. I also wonder how many average golfers play different type of golf courses on a regular basis where changing the sole would make sense? Most play courses local to their area where the conditions are likely going to be similar. You may travel to a destination once in a while but do you really need a new set of wedges for a vacation trip? Tour pros that want to change the bounce for a different course would make sense but they get free equipment anyway so they wouldn’t use it either. Sorry to say but I call this one overpriced and dead in the water immediately. These make no sense whatsoever at that price. You can buy 3 Ping Glide 2.0 or 3 Titleist SM6 wedges for less and you don’t have a removable part that can come loose. Can you imagine cleaning the dirt out of those holes every time you want to change them out. They would have to be spotless before screwing the new plate back on or you will eventually end up with problems. Is there any sign of a new Vega driver coming onto the market? New RAD-04i coming late spring and a further driver will launch late 2018.